I would just like to compliment you on the efficient delivery of my order of my Peugeot 307 sw gas struts. It arrived the day after i ordered it and the parts fitted correctly and only took about 5 minutes. At least I can rest assured that the tailgate will not hit me again!! Thanks for a good service. Many thanks for the new struts. Fast delivery and exactly what I needed. No fuss service and A1 goods – the boot on the Peugeot estate really flies up in the air now (it shuts easily too!) so job done. Thank you very much. Thank you we have received good very fast service - will use you again when we need any more parts for our Peugeot 307 SW. I received the Peugeot 307 SW boot struts ok and they have been fitted. Thank you for your very prompt service. I will recommend you to others. Just a quick note to tell you that I am amazed by the swiftness of response and the very competitive price of your Peugeot 307 SW gas struts. Thanks, and well done for the excellent service. Just a quick note to say how pleased I was to receive my 307sw tailgate struts the next day from ordering. The efficient way this was carried out was,in my opinion, first class in every way. You are a credit to deal with and hope to have further transactions with you. To have items delivered like this is almost unheard of here on Skye ( Scotland ) and hope other Companies may read this and follow suit. Many thanks, well done. Our Peugeot 307 boot struts and our Peugeot 307 tailgate struts fit both the standard model and the Estate model, so you’re sure to find what you’re looking for here at SGS Engineering. We have 30 years worth of engineering experience, so you’re in good hands when you shop with us. All of our Peugeot 307 gas struts come with a two year extended warranty, so you’ll know you’re buying Peugeot 307 boot struts and Peugeot 307 tailgate struts that will last for years to come. 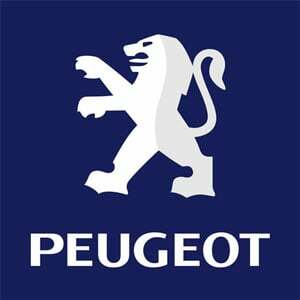 So, shop with us today for your Peugeot 307 gas struts.